Since it re-opened in 1999 Scala nightclub on Pentonville Road in Kings Cross has been a hub for showcasing undiscovered musicians and singers as well as an escape for clubbers to ‘live it large’. But behind the Courtney Constantine façade lurks a very unusual history. The outbreak of the Great War meant initially that work on the building was put on hold. So in its unfinished state, it was used during the war to manufacture aeroplane parts. Then after 1918 it became a demob centre for soldiers. 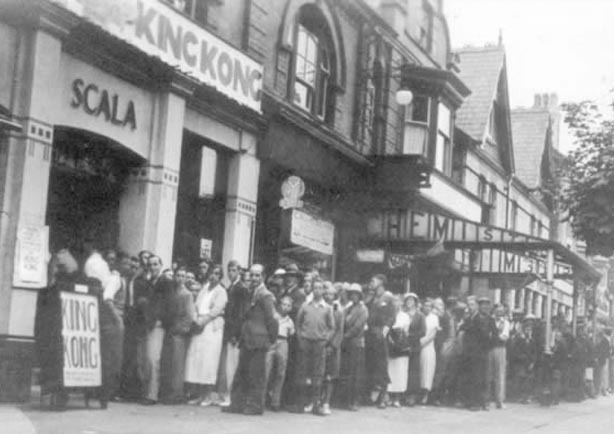 Two years (April) later it finally opened in all its glory and was used as a cinema boasting a capacity of 1,000 seats and space for a 20-piece orchestra. That would have been quite a performance – forget Dolby Surround sound! Scala remained a cinema for the best part of the 1970’s but before the turn of the decade it changed, albeit briefly into something quite random – a Primatarium. How? Why? No-one seems able to tell me. I’ve trawled the net and very little information has surfaced. From what I understand, the stalls were constructed to resemble a forest. I can’t imagine a working-orchestra was kept. But I still have no idea what non-human primates graced the building. Unsurprisingly the project failed and in 1981 it returned to being a cinema. 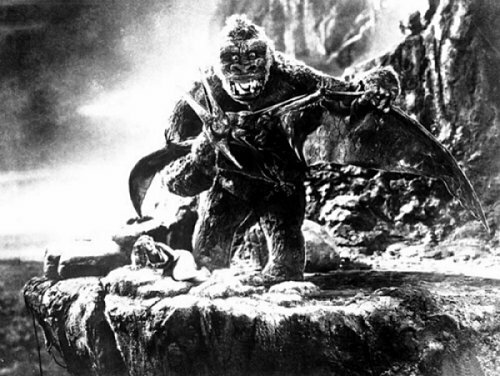 In what appears to be a nod to its former incarnation, the opening night screened the classic 1933 version of King Kong, co-directed by Merian C. Cooper and Ernest B. Schoedsack and with the groundbreaking special effects from Willis O’Brien.